Heel to Hoof Soothing Cream has been designed especially to protect horses and ponies against sore and scabby cracked heels. Loosens scabs, waterproofs and protects and does NOT seal the skin. 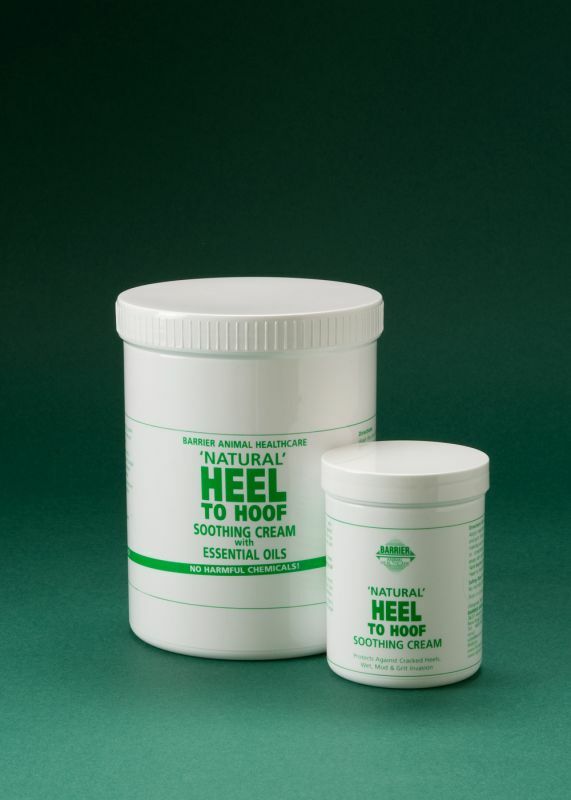 Uses: Heel to Hoof Soothing Cream is a wonderful product to help protect and soothe inflamed areas where soreness, swelling and scabs are evident. It will soften scabs naturally allowing them to fall away without causing any pain to your horse or pony. Bacteria/Fungi: Heel to Hoof Soothing Cream is anti-bacterial and anti-fungal. Protector: This unique cream is rich in Lanolin BP and Concentrated Herbal Oils to waterproof and protect vunerable areas. Lanolin is one the toughest products known for staying on the skin. It also acts as an excellent water barrier WITHOUT sealing the skin. Mud, Grit & Wet: In wetter months, when horses and ponies tend to stand around in muddy conditions for longer periods of time, the skin can become weakened, split and inflamed. These are perfect conditions for bacterial and fungal conditions, such as spre and cracked heels to thrive. Heel to Hoof Soothing Cream is a wonderful product to use as a barrier to help prevent sharp grit from penetrating sore cracked areas and help protect against infection.